Submitted by lmcshane on Mon, 10/05/2015 - 10:35. While CLE ostensibly prepares for the RNC in July 2016 - City of Cleveland and Cuyahoga County folks in economic development don't even bother to consider the regional impact of this upcoming exhibit at the Cleveland Museum of Art. What a sad case of political representation having their heads up their arses. Submitted by Aspire on Thu, 10/23/2014 - 14:21. The October online auction of fine art, antiques and decorative arts features the estate of Joseph T. Gorman, who was the former chairman and chief executive officer of TRW Inc. Moxahela, the name of his estate in Gates Mills Ohio, designed by the well known architectural firm of Walker & Weeks, sold recently for $3.65 million. Well appointed with fine furniture and paintings, Moxahela was elegant, yet comfortable. 2310 Superior Ave. Ste. 125 entrance on 23rd st. Submitted by Aspire on Wed, 09/03/2014 - 13:59. Submitted by Aspire on Tue, 03/25/2014 - 13:43. 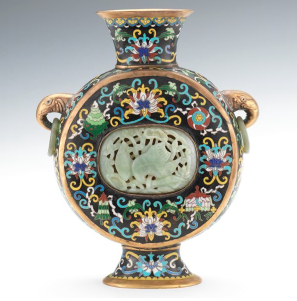 All of the cloisonné, bark pottery and totai pottery are from one family collection, from southern California. Terrell & Sue Corbin spent a lifetime learning and buying to amass the pieces offered in the current online auction. 2310 Superior Ave. entrance on 23rd st. Submitted by Aspire on Fri, 09/13/2013 - 15:03. 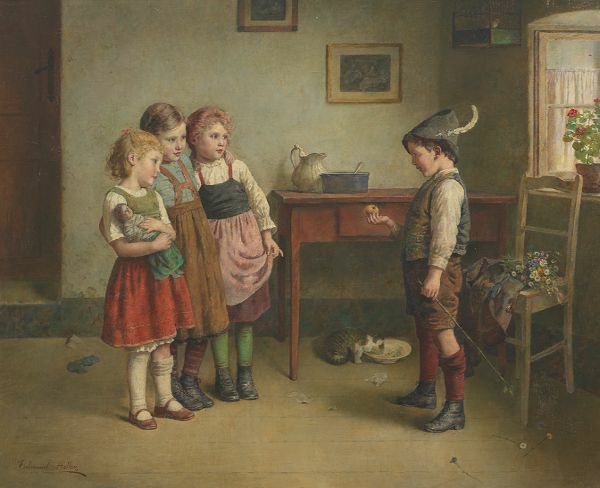 Bidding has started for the September fine art & antiques online auction. The gallery is open for auction preview today until 8 pm with a specail gallery party starting at 5pm. We'll be open agian on Saturday, 11-7, closed on Sunday, and again open for preview Monday, Tuesday and Wednsday 11-7. Lots will start to close on Thursday Sept. 19th. Please view the catalogue and online bidding at www.aspireauctions.com. Call 216-231-5515 for assistance. 2310 Superior Ave. E. ste. 125 enter on 23rd. Submitted by Aspire on Fri, 10/05/2012 - 17:56. The Charles H. Teare Trust auction catalogue has been posted and may be viewed online at www.aspireauctions.com. The items are from the estate of Charles Teare, of the venerable Brownstone Antiques of Cleveland Ohio. Mr. Teare was owner of the well know antiques gallery which started in Cleveland in the 1950's. Mr. Teare's collection is vast and varied, with a concentration on sculpture, French Empire and Biedermeier furniture, and Empire Style decorative arts. Submitted by lmcshane on Mon, 07/16/2012 - 08:15. 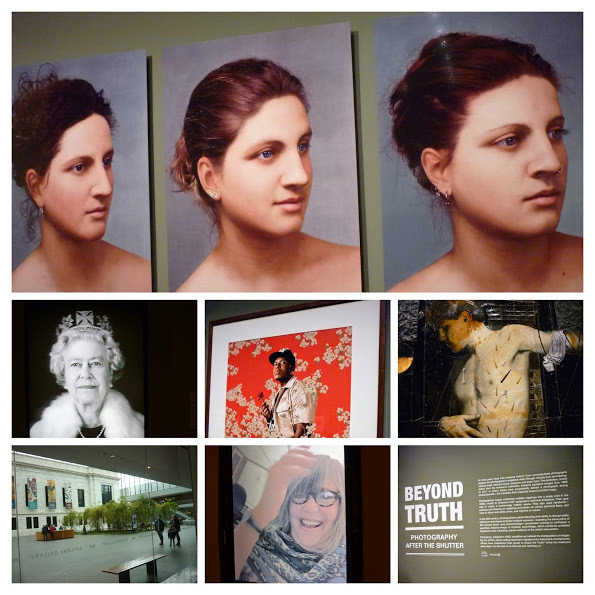 Summer is fading fast-don't miss this exhibit ! Submitted by lmcshane on Fri, 04/13/2012 - 20:09. Cleveland's third official TEDx event, TEDxCLE 2012 will take place from 9:00 a.m.–2:00 p.m. on Friday, April 20, 2012 in the Cleveland Museum of Art's Gartner Auditorium. At TEDxCLE, Cleveland's innovators will speak on a variety of topics in order to highlight areas in which Cleveland is excelling and reinventing itself. This is the first time the event will be held at CMA. Tickets for last year’s event sold out in two hours and we plan for a sellout crowd of 685 this year. Submitted by lmcshane on Sun, 03/04/2012 - 11:06. See the movied Urbanized: A Documentary Film by Gary Hustwit--at the Cleveland Museum of Art TODAY. Submitted by Aspire on Fri, 02/03/2012 - 15:12. Aspire Auctions, Inc., is offering a portrait by 20th century Chicago area artist Louis Frederick Grell. Grell was a muralist, a teacher at the Art Institute of Chicago, and made his home and studio at the historic Tree Studio Building. The beautiful portrait, which is part of the February sale, is of the artist’s wife and was painted in 1922. Submitted by Aspire on Thu, 12/01/2011 - 17:40. Aspire Auctions, Inc., offers a painting by important contemporary Turkish artist Erol Akyavas (1932-1999) in their upcoming online auction which opens December 9, 2011. The painting entitled “Figures” is an example of Akyavas’ work from the early 1960’s and was part of a private Cleveland collection. It is a rare figural example by the artist who has recently set an auction sale record of over $1.7 million dollars. Submitted by Aspire on Thu, 12/01/2011 - 14:52. 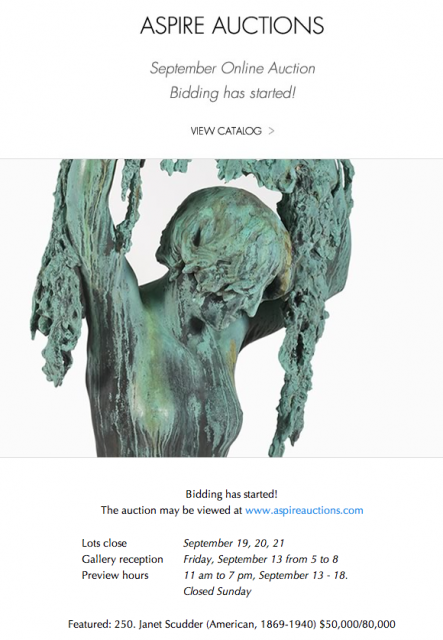 Aspire Auctions is pleased to offer a beautiful marble sculpture by the Italian fin-de-siècle artist, Pietro Canonica (1869-1959), who had a very long and distinguished career as a sculptor. His work is found in Rome, Russia, Turkey, India, and England and range from small delicate busts of women and children to large monumental equestrian statues of war heroes. The piece being offered by Aspire Auctions is entitled Montanara of Gressoney and dates to 1897. The bust depicts a young Walser woman in native dress. Submitted by Aspire on Wed, 11/30/2011 - 14:43. One of the most exciting pieces in the December is a sculpture of a Standing Woman from 1945 by the 20th century Costa Rican artist Franciso Zuniga (1912 – 1998). Submitted by Aspire on Tue, 10/18/2011 - 18:56. "Anticipation of Summer". Acrylic on hand made paper mounted onto masonite, signed in the lower right, framed with a gilt frame, textile covered inner panel overall apprx. 42" x 47-1/2". October Fine Art & Antiques Auction by Aspire Auctions, Inc. Submitted by Aspire on Tue, 10/11/2011 - 14:21. The October online auction cataloge has been posted for viewing at www.aspireauctions.com. Bidding opens this Friday October 14th and lots close the following week, October 20th & 21st. It's a timed auction, so you can bid anytime from anywhere, up until the timer runs out for the lot. Lots close in 1 minute intervals, over a two day period. There are 982 lots, ranging from fine paintings, sculpture, Asian, sterling, fine watches & jewelry, pottery & glass, books, antique weapons, furniture and carpets.